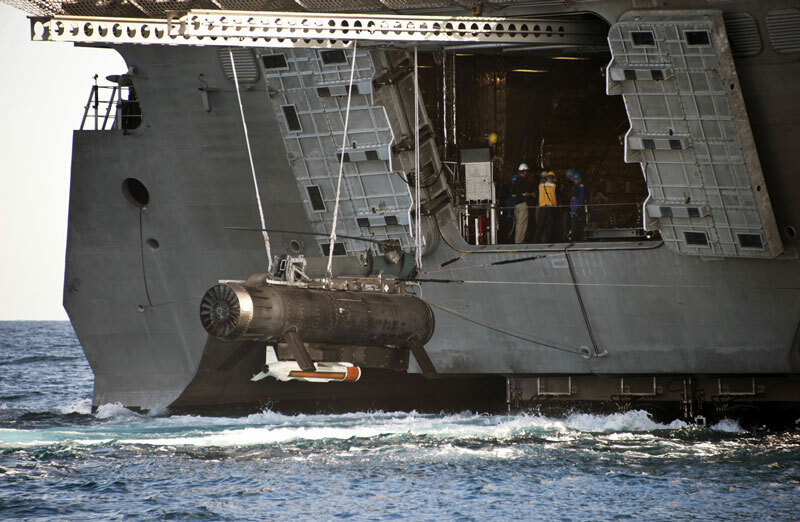 On-water testing has commenced for the fourth-generation Common Unmanned Surface Vehicle (CUSV), which supports the US Navy’s Unmanned Influence Sweep System (UISS) programme. The UISS is a mine countermeasure system designed for influence sweeping of magnetic and acoustic mines. In 2014, Textron Systems Unmanned Systems received a $33.8 million contract to provide its Common Unmanned Surface Vessel (CUSV) for the US Navy’s Unmanned Influence Sweep System (UISS) programme. The Textron Systems Unmanned Systems fourth-generation CUSV is a multi-mission unmanned surface vehicle with a large, configurable payload bay. Since its first demonstration in 2009, the CUSV has successfully completed several prominent exercises with the US Navy. Variations of the CUSV have amassed more than 2,000 on-water operational hours and the craft can carry multiple payloads, including side-scan sonar, mine neutralisation, non-lethal weapons and intelligence, surveillance and reconnaissance sensors. The CUSV was one of three potential solutions to the mine hunting challenge the US Navy faced in its Littoral Combat Ship (LCS) mine countermeasures mission package. The Navy decided that Lockheed Martin’s Remote Multi-Mission Vehicle (RMMV) was too unreliable for its mission. “We learned our lesson with RMMV a little bit,” Rear Admiral Brian Antonio, programme executive officer for LCS stated in a May 2016 US Naval Institute News article. “One of the lessons learned, I guess, is [during a reliability growth program] with RMMV we did a lot of testing in the lab, and the numbers were great. Well, what we failed to realize is, the system was being placed in the water with a cradle and it was being towed to the operational area and then it was being lit off and allowed to run; it didn’t go through the whole launch/handling/recovery process on an LCS where it kind of gets bounced around in a seaway and it has to come on board a ship. So we want to actually put these systems in the hands of the actual operators in real-world scenarios,” Antonio stated. Other systems the Navy is looking at includes General Dynamics’ Knifefish unmanned underwater vehicle for hunting buried mines. In May last year, Rear Adm. Antonio stated that Knifefish was a “very promising system,” with built-in volume mine search capability, in addition to its unique buried mine search sensors. According to US Naval Institute News, a decision will be made in late 2018 or early 2019 regarding which system – or combination of systems – should be used to perform the volume mine search mission on LCSs.